Uffe gave us only a quick synopsis about KAOSPilot and referenced it as a school whose purpose is to ‘create positive societal change through personal growth and enterprise’. He also gave us a small diagram on where he believes KAOSPilot is situated. This he calls ‘The Intelligent Ecology’. But for the majority of his talk Uffe Elbaek led a frank discussion for three hours on his experience of birthing an extremely large and socially sensitive project from point zero to fruition in a condensed time line of only two and a half years. During this time Uffe had to not only deal with the many third parties involved, such as the political organizations, vendors, sponsors, and citizens of the city of Copenhagen but also the very basics of putting together a team from scratch. I mention this because when he started the team it was only one person deep – himself. As the key organizer he had to start by resolving some of the key issues such as time, money and people. Was there enough time to get this event off the ground, was there enough money to support the event and who were the people that would support and participate in the Games to make them a success. He viewed all these questions as if he was forging long-term relationships with every stakeholder that he encountered. He wanted his team to become the nucleus of a communications hub for lively two way discussions and not just a central hub where directives were given. He encouraged the organizational structure to help strengthen conversations between the stakeholders themselves. This he believed helped augment the stakeholders’ relationships within the greater Games community. Because of his belief in openness Uffe didn’t start this undertaking with his own concept of what the Games should be but instead he developed a plan of action that he calls the ‘Dehok Project Model’. Uffe believes that the Dehok model is useful to combat what he calls the ‘Project Paradox’, whereby most projects start with an ‘end date’ but very little accumulated knowledge with which to make proper decisions. Here the goal is to compress the gap between the decision and knowledge curve as best as possible. 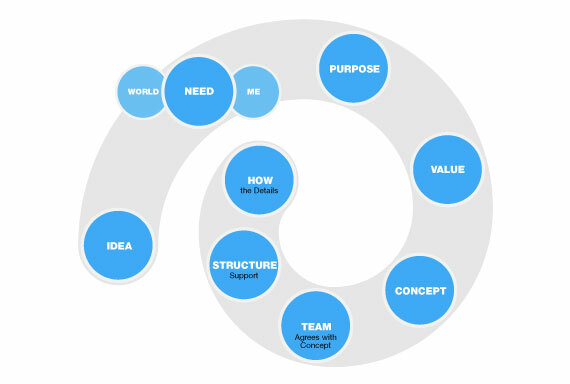 The Dehok model allows the core team to realize an open outcome rather than a predestined one because it indulges varied experiences to manage change. More specifically, this model does not focus on the final concept but instead encourages the team to focus on a consensus allowing them to work together in an atmosphere containing less internal conflict. He believes, as do I (and most of us I imagine), that a cohesive team structure is best united to solve a set of problems when they all believe in their common goals. This process starts with an idea but consistently appreciates the requisite variety of ideas that develops through different personalities. Of course the end goal is a mutually beneficial outcome. This talk was one of the better more comprehensive ones that I have ever been to. My suggestion would be to go see him if you have the opportunity. Thanks Uffe. This entry was posted on 2010.03.30 at 4.54 pm and is filed under Organizational Thinking. You can follow any responses to this entry through the RSS 2.0 feed. You can leave a response, or trackback from your own site.